Kurtis are a more relaxed and casual version of the traditional salwar kameez. The fact that it has become really popular among women and girls is because it is trendier and fashionable than the salwar kameez. Moreover, the comfort level is higher in case of kurtis because there is no need to wear the dupatta while wearing a kurti. As kurtis became a hit among Indian women, designers started experimenting with various looks due to which there is a huge variety of kurtis in the Indian market. Kurtis are worn with jeans, salwars, patialas and leggings. Short kurtas, which reach a person's waist or hips, are ideal to be paired with beautiful, flowing skirts. Kurtis or tunic tops that reach the level of the knees are also very commonly worn as dresses. So, you see, kurtis are really versatile, and you can mould it in the way you want to get a different or unique look every time. 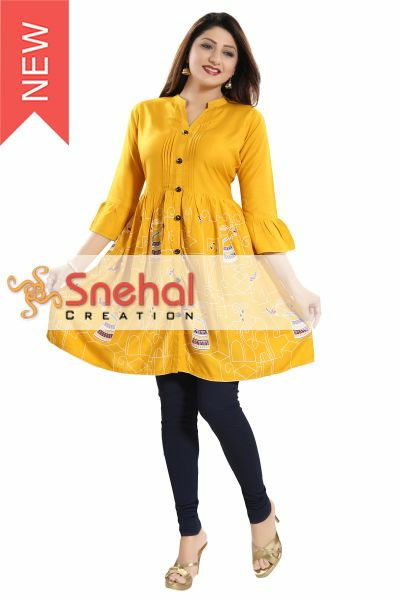 Snehal Creations specializes in kurtis for women of all ages. 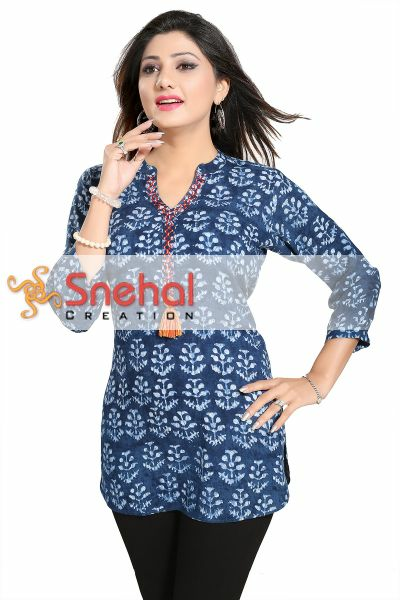 We have simple kurtis as well as designer ones in our collection. You will also find Bollywood kurtis in our collection. 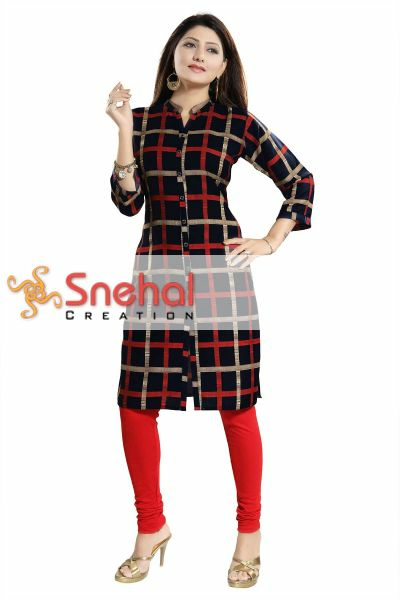 Our kurtis are ordered from all around the world, as we offer only the best quality products. Most of our customers from every corner of the world have given repeat orders for our designer kurtis, kurtas and tunics. 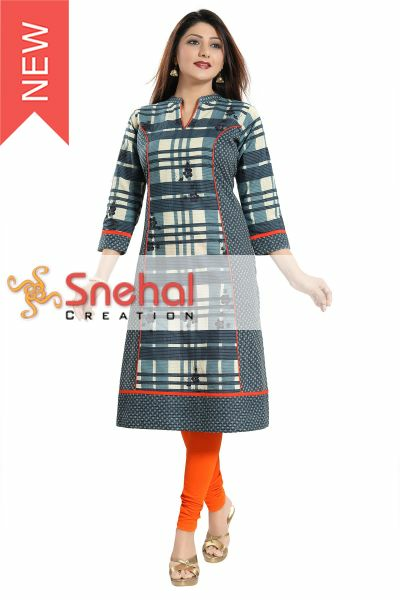 The designers at Snehal Creation are in sync with the current fashion trends. 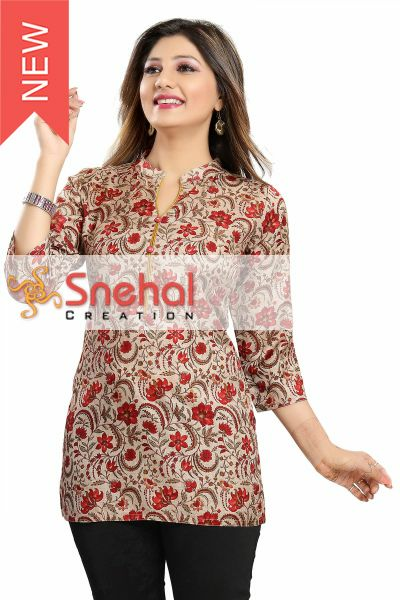 We create kurtis that are trendy, stylish and fashionable. Apart from that, we have kurtis of varied sizes too. We are among the few who offer plus size clothes to our customers. What are you waiting for? With us, you will find kurtis fit for all occasions and that too at reasonable prices. So, place your order today!